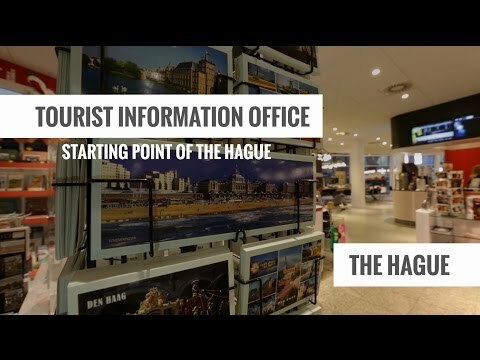 A visit to The Hague has to start with the VVV Tourist Information Office! Here you can obtain information and tips about The Hague, Scheveningen and Kijkduin. From attractions and excursions, to the night life and tucked away gems in the city: we are only too delighted to help make your visit to The Hague complete. VVV Den Haag is centrally located in the heart of the city and is easily accessible by public transport. Aside from information about the city and the beach, other products can also be obtained from VVV The Hague: from street maps, city walks and public transport tickets, to souvenirs and VVV gift vouchers. At the main VVV branch in the city centre you can also book excursions, walks, bike trips, boat trips and guided tours. We are a 'Pin Only' store. The excursions and guided tours on offer in The Hague and Scheveningen are endless. How about a city walk during which the secrets of the Binnenhof are revealed? Or, an excursion especially tailored to children? The VVV Tourist Bureau offers a range of city tours and boat tours in The Hague. The VVV gift voucher is the most popular gift voucher in The Netherlands. Of course! Everyone like to get presents and to be able to choose what they want from more than 35,000 shops is even better. Would you like to make your VVV gift voucher even more personal? Then have it specially gift wrapped. As well as the popular VVV gift voucher, the VVV in The Hague also sells other vouchers such as the National Diners Cheque, the Theatre and Concert Voucher and the Bol.com Voucher. The Tourist Information Office is situated in the city centre, directly in front of the tram stop for lines 1, 2, 3, 4, 6 and 17, and buses 22 and 24. Train stations The Hague CS and HS are only a 10-minute walk away. The Tourist Information Office is also very well accessible by car. Several parking garages in the city centre are only a short walk away from the VVV. The closest ones are: Parking Spui, Turfmarkt, Muzenplein, Veerkaden, Pleingarage, Lutherse Burgwal, Grote Markt and Parking Wijkhaven Centrum.